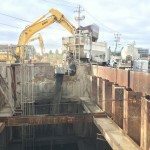 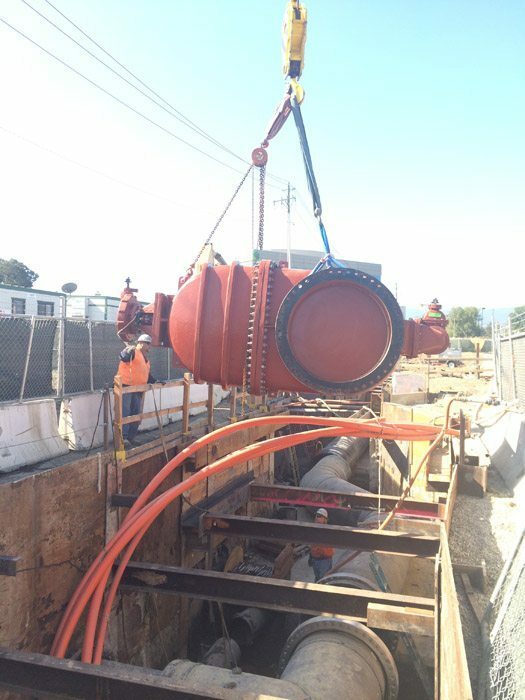 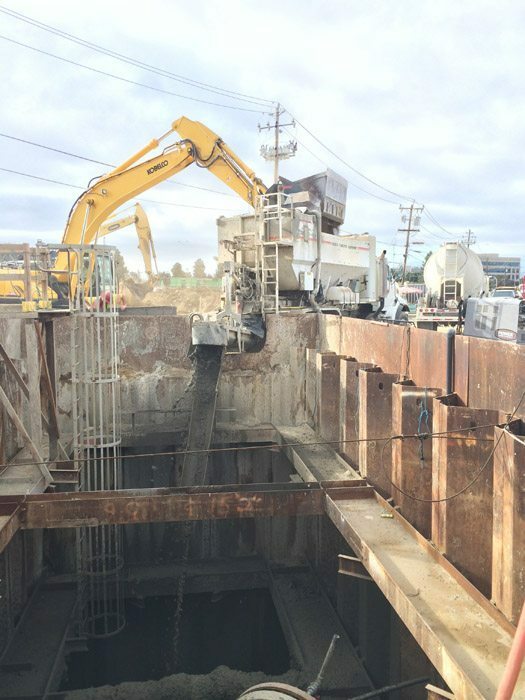 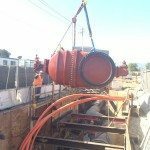 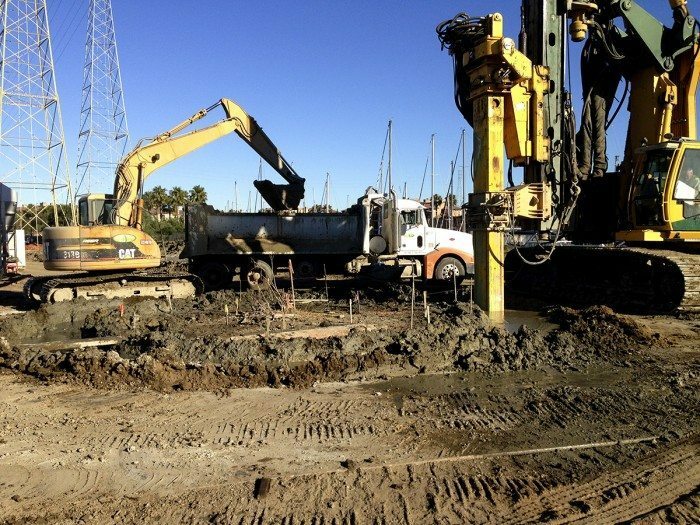 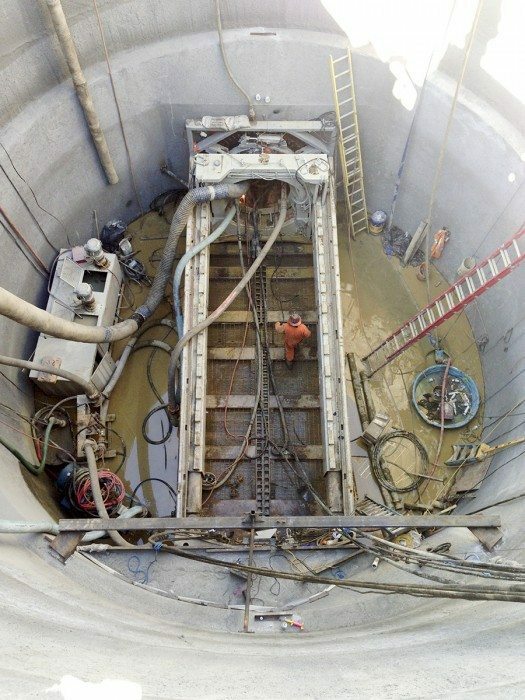 Silicon Valley Clean Water, formerly named South Bayside System Authority (SBSA), is currently in construction with Power Engineering on two phases of the 48-inch Force Main Reliability Improvement Project located within the cities of San Carlos and Redwood City. 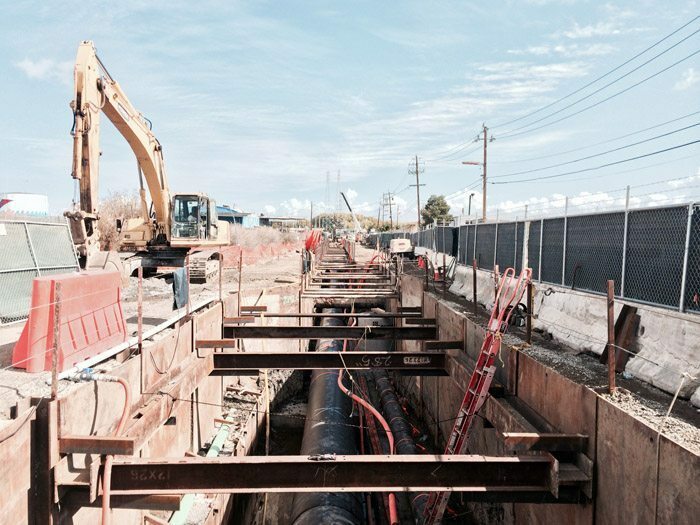 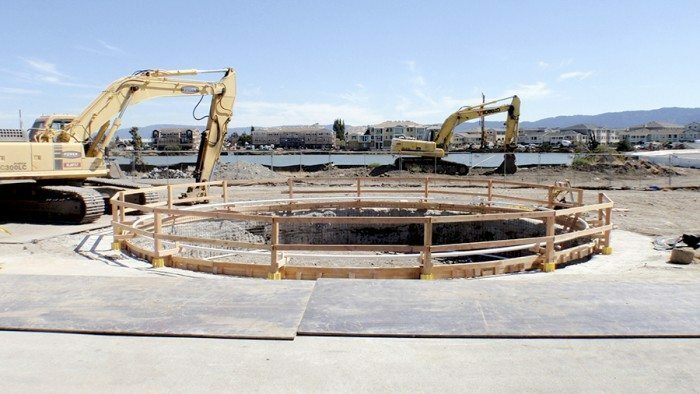 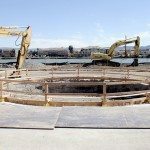 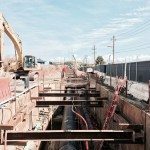 The primary objective of the $45.5 million project is to construct a new fused 48-inch diameter high density polyethylene (HDPE) sanitary sewer pipeline, replacing a pipe that has a history of leakage and damage because of the unstable “bay mud” ground conditions in the area. 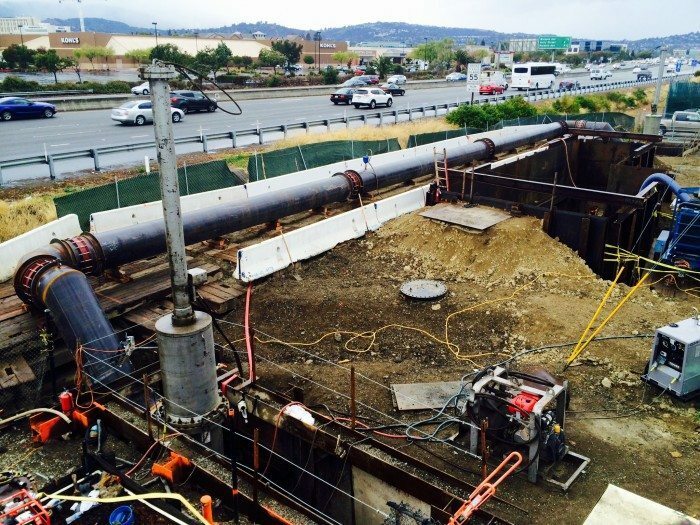 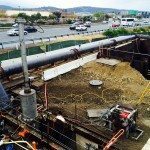 The existing 2.5 mile, 48-inch force main was constructed in 1971; its replacement with the new pipe is part of SBSA’s overall 10-year Capital Improvement Program (CIP) to replace and upgrade aging infrastructure. 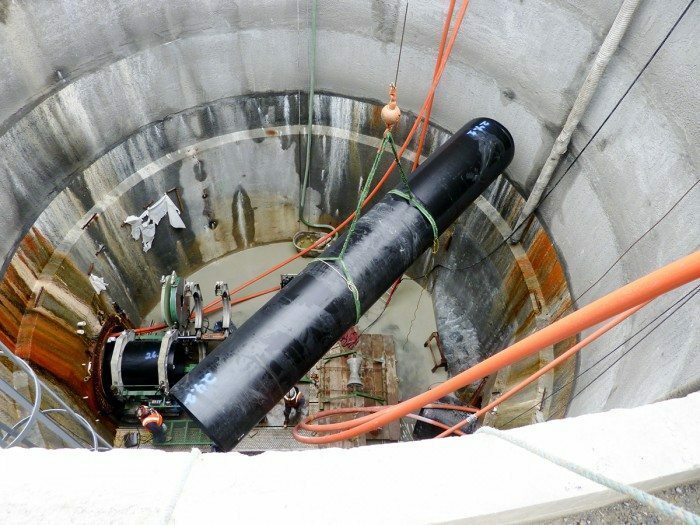 As part of Unit 1, Power Engineering Construction Co. is constructing 3,300 linear feet of new pipeline using jacking shafts and microtunneling among other intricate construction methods such as ground probing and jet grouting. 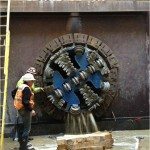 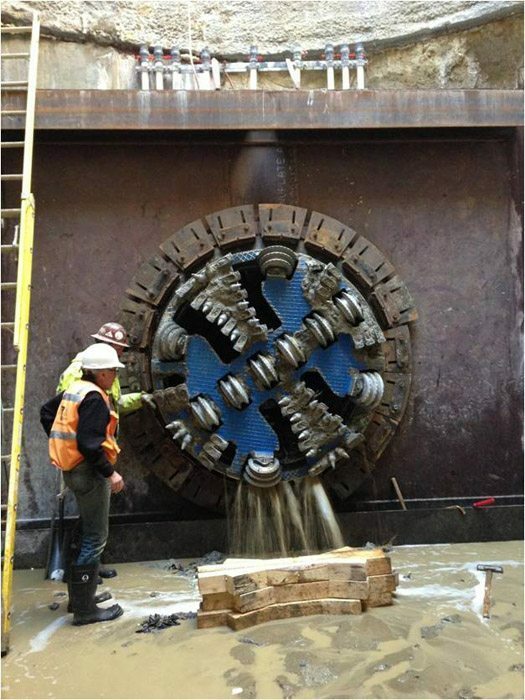 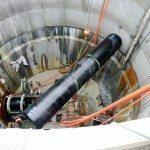 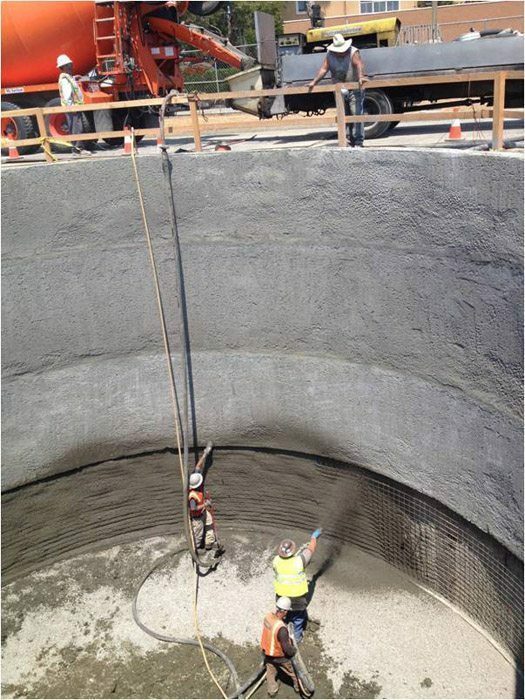 To accommodate the microtunneling, jacking and receiving shafts were built. 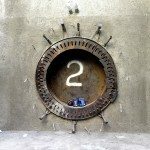 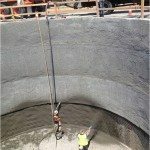 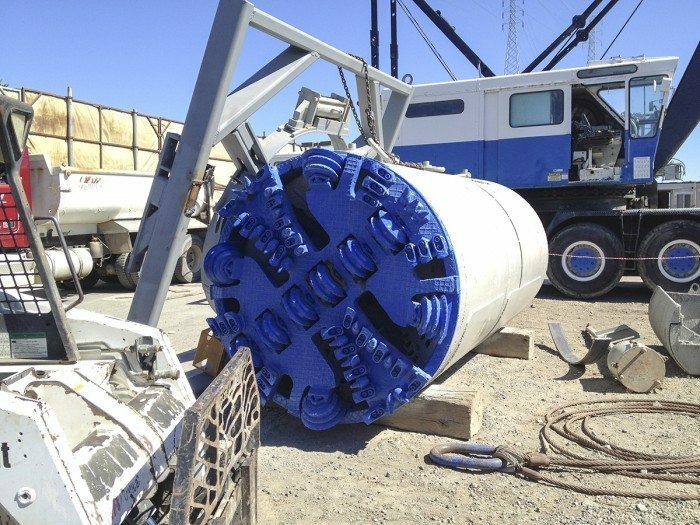 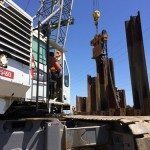 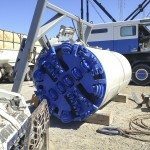 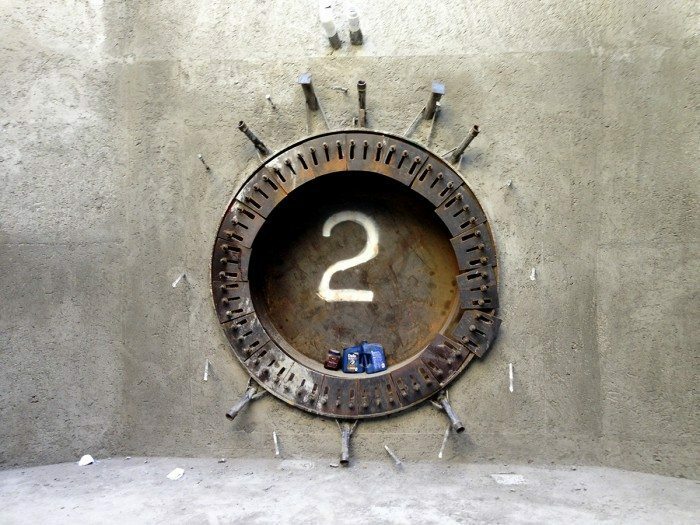 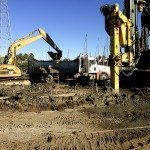 There are two jacking shafts (800 ton thrust capacity) and two receiving shafts each ranging from 24 to 36-feet in diameter and 45 to 50-feet deep. 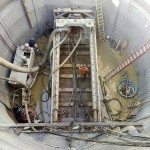 At this point two-thirds of the microtunneling is complete and open trench cut & cover excavation for another portion of the pipeline is underway. 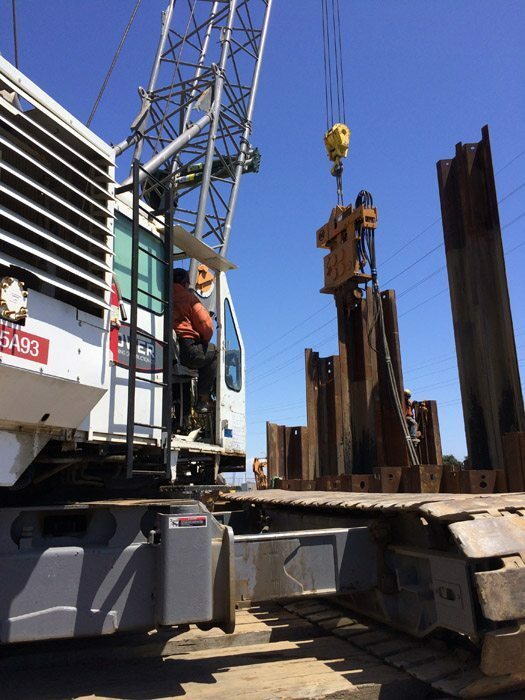 A second phase of the project, Unit 4, has started as well. 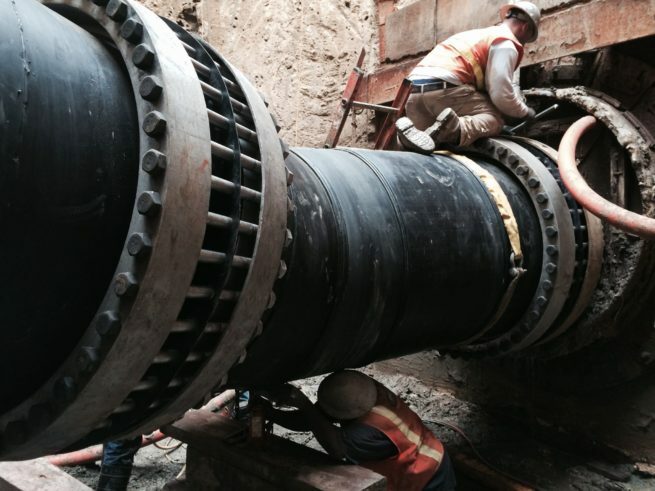 Unit 4 is a design-build phase of the pipeline that will include temporary tie-in installations adjacent to two existing pump stations. 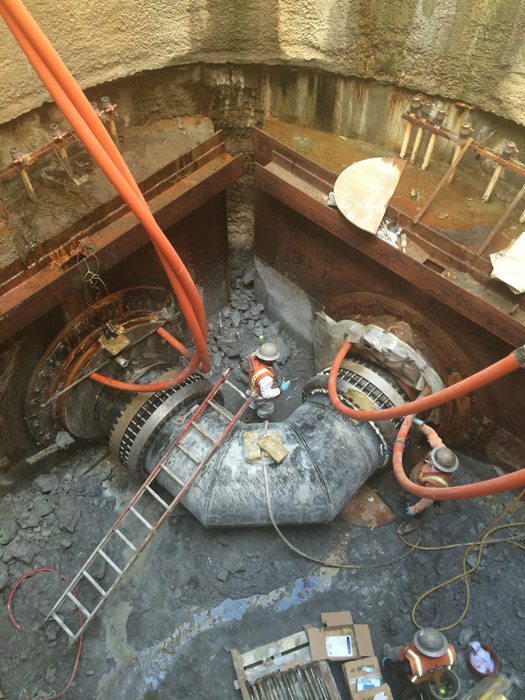 These tie-ins will be strategically located within the existing and new alignments to allow for continuous operation of the force main while each pump station undergoes re-construction. 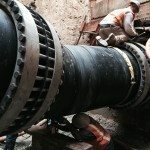 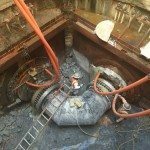 This work is very critical as it revolves around existing influent line and will require very time sensitive force main shutdowns in order to complete the installations of 48-inch HDPE tees, steel tees and resilient wedge gate valves.